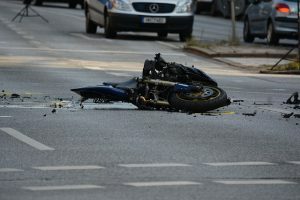 Falmouth, MA (July 13, 2018) – A motorcyclist in Falmouth, Massachusetts had to be airlifted following a crash with a truck on Thursday. Falmouth police responded to a call regarding this accident at 4:06 pm. The collision occurred at 450 Sippiwissett Road, according to Falmouth Police Lieutenant Sean Doyle. The motorcycle, which was driven by a 30 year old man from Bourne, collided with a Toyota Tundra operated by a 66 year old Falmouth man. The motorcyclist was driven by ambulance to a landing zone where he was then transported to by medical helicopter to a hospital in Boston. The motorcyclist suffered serious injuries in the crash and remains in the hospital on Friday. The injuries do not appear to be life-threatening according to police. Falmouth police are still investigating the cause of the crash and have not released any further details at this time. Motorcycle accidents are some of the most deadly that we encounter here at our office. In 2016, a study revealed that motorcyclists were 28 times more likely to be in a fatal crash per mile driven when compared with drivers or passengers in a traditional vehicle. Also in 2016, 5,286 motorcyclists were killed nationwide in collisions with over 90,000 serious injuries being reported every year. These statistics are certainly sobering and must give pause to everyone who chooses to ride a motorcycle. The fact is that motorcycles offer a certain thrill that a car cannot normally provide. People ride motorcycles as a hobby and also as a daily mode of transportation. Both motorcyclists along with drivers must exercise extra caution when on the roadways in order to avoid a tragic outcome. In this case, the accident remains under investigation and so it is not clear who is at fault. Police will look at a number of factors,including whether any traffic laws were broken, in order to ascertain liability for the crash. Until a cause is revealed, there is no way to know which driver was responsible for the crash.